On the remote south coast of Tasmania, the violent father of three boys earns a living by diving for abalone, a valued shellfish found ‘down where the algae grew thick, where the continental shelf dropped away…and there were caves and crevices, places to get stuck’. From the off, there’s a pervasive menace to Past the Shallows, the tersely elegant prose sketching a sense of isolation heightened by the vast, unpredictable ocean. 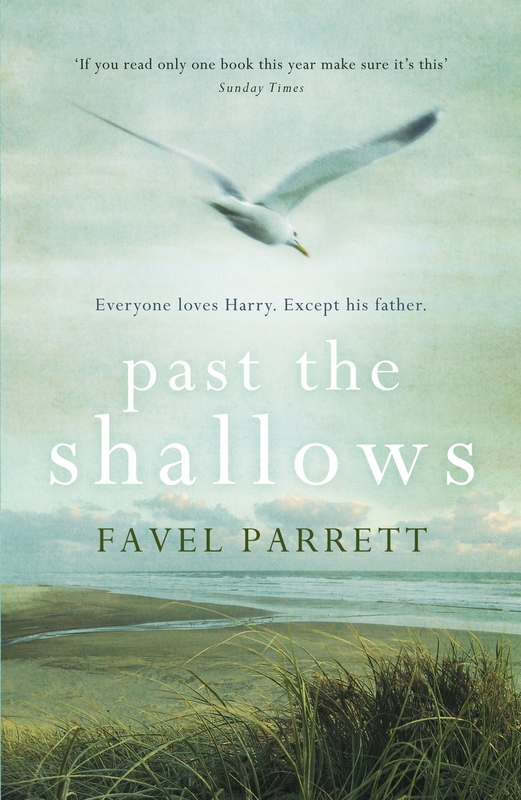 In an environment at once beautiful and threatening, brothers Joe, Miles and Harry are at the whim of their father’s moods, and seek their scant pleasures from the sea – surfing, searching for sharks’ eggs, taking mementoes of life underwater back to a pitiful existence. For Miles, there is the joy and freedom of surfing, but there is also working the sea with his volatile father and being touched by the ‘thick, steel blue skin’ of a shark. What chance does youth stand against the age-old ocean? Water flows through this novel – the boys’ grandfather dying in hospital was ‘drowning on the inside’ – but lives are pinned down. Existence is overpoweringly static, trapped. Harry’s friend, Stuart, lives in a caravan that has been in one place so long it has ‘sunk down into the earth so its wheels were almost buried’. Kit homes have gardens full of rusty car shells and decaying boats ‘marooned on land’. Between touching sibling closeness sits a story, untold, unremembered, drifting on the edge of reality and you know things will change. There’s Joe, the eldest boy, intent on moving on, and the burgeoning friendship between Harry and George Fuller, the loner living in a shack in the woods – ‘his face all squashed in’ and rumoured to have killed his parents. 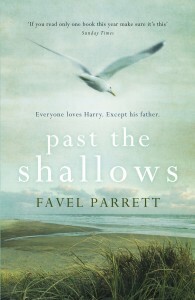 In a best-selling Australian debut spoken of in the same breath as Cormac McCarthy and Tim Winton, Favel Parrett’s lean prose evokes the cruel beauty of the sea, the treasure of lost childhood freedoms, and yearning emotions that linger beyond the last page. While I felt the character of the father and Joe were somewhat under-drawn, this is an accomplished debut addressing the frailty and determination of human existence; it’s a joy to read such spare prose giving so much.